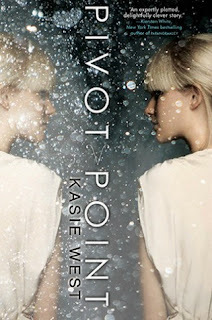 Bookanista Tracey Neithercott is gushing over PIVOT POINT by Kasie West today. In her own words... "Good news: This book rocked. Not only were the two stories each different and gripping, but there’s slight overlap that plays into the mystery and makes you wonder whether disaster is simply inevitable. Addie is a strong, likeable character in both realities, and the side characters are just as rich (especially the Norm boy Trevor, who I might have a slight major crush on)." Go forth and read PIVOT POINT -- and the rest of Tracey's review!